University Libraries is launching a scholarship to specifically recognize outstanding research efforts of undergraduate students from all disciplines. After receiving financial support from long-time library supporters Jim and Mary Lois Hulsman, library staff developed the new award program. 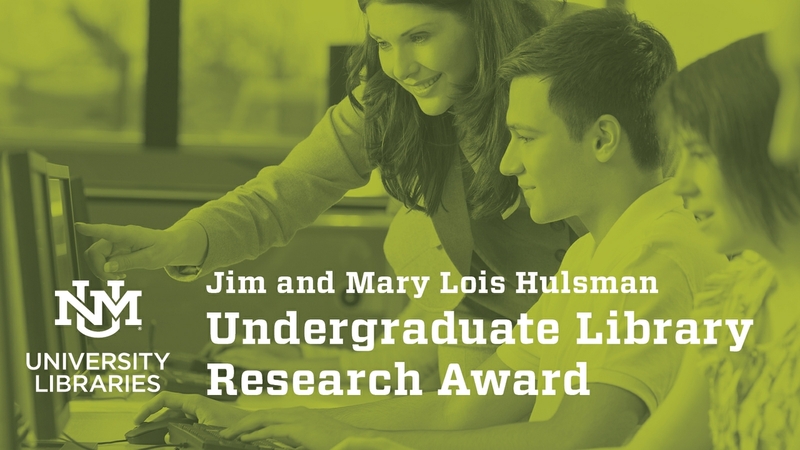 It’s designed to recognize excellence in undergraduate research that incorporates use of University Libraries resources and demonstrates sophisticated information literacy skills. 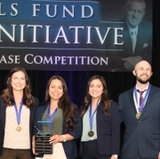 Student award winners receive a cash prize ($500 for first place, $300 for second place, $200 for third place) and recognition of their outstanding efforts. The program is being launched in October. Students have until February 2018 to submit their research projects. 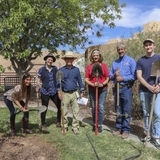 Projects will be judged by panel of UNM faculty and prizes will be awarded during a celebration in April. All prize-winners will be asked to make a presentation about their project. 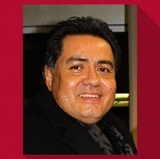 Several workshops will be hosted by University Libraries in December, January and February to acquaint students with the application process which requires online submission of projects through the UNM Digital Repository. Submission guidelines can be found at Undergraduate Library Research Award. 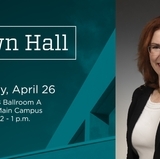 For questions about the award, email ugresearchaward@unm.edu.